I am again with courgettes. I should share because they are beautiful. It`s very easy. 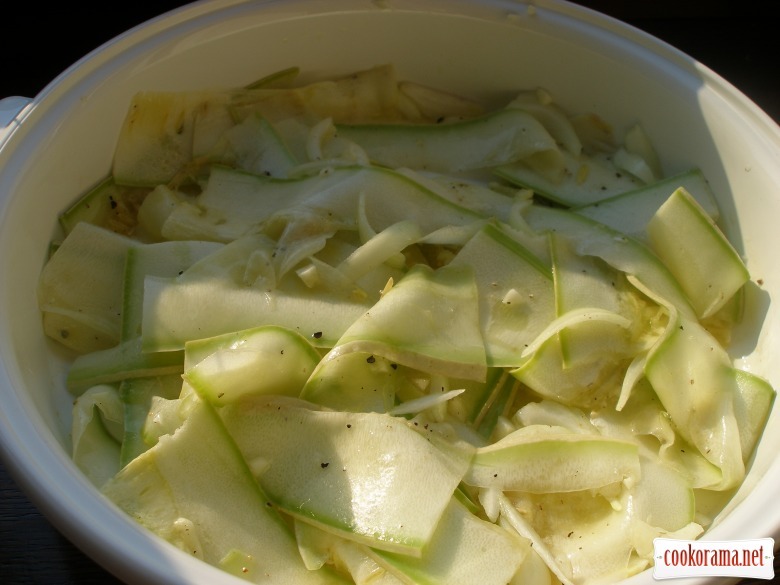 Cut courgettes in very thin slices, — I do it with the help of vegetable peeler. Slice onion, grind garlic. Put all in form, sprinkle with oil, salt and pepper it. Stir gently. Bake at «grill» mode for 20 min at 200 ℃. Sprinkle with chopped mint leaves before serving. P.S. I never thought that I would eat mint with courguettes and that I like. 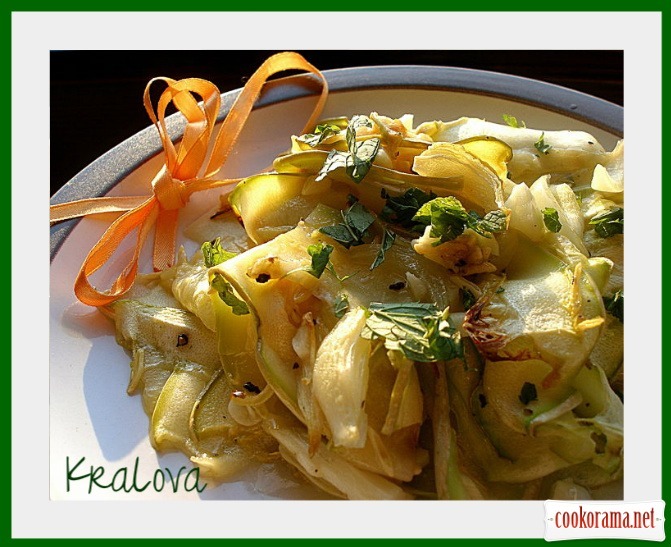 Top of recipe "Courgettes with mint"
Оля, кабачки рулят во всю! Мне нравится! М«ята з кабачком — справді цікаво!